This precious time to myself. Sitting in the sunshine – thankful for good health. How shall I spend this time of leisure? Shall I read, or knit, or write a letter? The birds go on singing as their food they find. A butterfly flutters past – a joy to the eye. Flowers and their fragrance to all of mankind. The reservoirs of my spirit are filled to the brim. Re-charges my batteries so my “light” does not dim. But the tempo is eased by today’s brief pause. And remembers those times of frustration and tears? Pound notes were few, you mainly had bobs! With much-mended shoes, and clothes others wore? And ate lunch in the shelter shed with a roof that leaked? Obtained a scholarship for Commercial classes? Graduated to employment from a typist’s stool? And donned a uniform, with two stripes, no more. And danced in the street when the war was over? By means of a generous donation by Beryl Davis, Julie Love, Brian Simpson and Geoff Simpson in honour of their mother Mrs Joan Simpson, young women eligible under the following criteria will be sponsored up to $5,000 to undertake the Arrow Emerging Leaders Program. Have a sense of God’s call on their life. Have a heart for disadvantaged people, especially people overseas. Applicants for the Joan Simpson Sponsorship will be made through the Arrow Partnership Fund. The Emerging Leaders Program Director, will recommend applicants for sponsorship to the Arrow Leadership Partnership Fund Committee in line with the eligibility criteria listed above. This eligibility will be assessed by means of the applicant’s online application form responses. Wherever possible recipients will meet a member of the Simpson family and update them on developments in their ministry at the conclusion of the program. 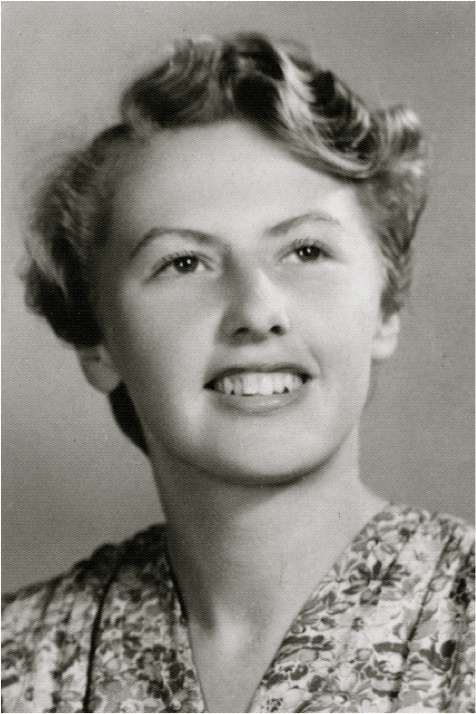 Biographical Notes: Joan Simpson (1926 – 2014). Joan Munday was born in 1926 to parents who had recently immigrated to Melbourne from England. She had 2 brothers, Les and Ken. Joan attended Coburg Primary School, which in those days enrolled students from Prep to Grade 8. At age 13 she sat for a scholarship to a business college, commencing the following year. There she met 5 other students and a friendship started between them that lasted for 74 years. After a 12-month course, Joan took a junior office job in Leicester Street Carlton. Her starting wage was one pound and threepence per week. Later she became secretary to an importing company, using her typing, shorthand and switchboard skills. In 1943 at the age of 16½, Joan met Laurie Simpson. Laurie worked as an aircraft engine mechanic at Ansett Airways and although he had applied to join the Air Force, was refused permission on the grounds that his job was in a “protected industry”. Later that year though, Laurie was able to join the RAAF as a trainee pilot. Joan joined the WAAAF at the beginning of 1945 – temporarily working in a fruit cannery but then as a trainee cypher assistant until the war ended. Joan and Laurie were married on 1st February 1947 and travelled to Lakes Entrance for their honeymoon on a motorbike and sidecar. They had 4 children, Beryl, Brian, Geoffrey and Julie. As was the practice for women in those days, Joan had to cease work when she advised her employer that she was pregnant with Beryl. 1950 saw a move into a new home in Gladstone Parade Glenroy – the family home until 2008. The road was unmade; there was no sewerage and no telephone. Bread and milk were delivered by horse drawn cart and in the early years, ice was also delivered for the “ice chest” refrigerator. Joan and Laurie became firm friends with their neighbours and settled into family life with Joan as homemaker and Laurie back at Ansett, having resumed there at the end of the war. He remained with Ansett for 44 years until his retirement. Joan valued family, friends and her church over everything else. She was a parishioner at St Matthews Glenroy from 1950 until the time of her death and was a stalwart of Mothers Union, being either president or secretary for many years. Joan also loved writing letters and poems (she had beautiful handwriting). In the 1970’s she began a lifelong pen-pal relationship with a woman (Lilly), in the Philippines, sending her small amounts of money as she could. Eventually, she was able to visit Lilly, sleeping on the floor of her home and continuing to offer support. Joan was a keen fan of Radio 3LO’s “Poet’s Corner” with John Reid. She had several of her poems read out on this program, and kept all her typed or handwritten work in journals and booklets, which the family is delighted to still have. Two of her poems that reveal a little more about Joan and her values are printed below. Joan and Laurie were happily married for 61 years. Life became difficult when Laurie died in 2008 and Joan subsequently moved into Colton Close nursing home, also in Glenroy. Joan had been a volunteer there for many years and became a loved resident, receiving excellent care. In addition to her four children, Joan had seven grandchildren and five great grandchildren. When Beryl married for the second time to Owen Davis who had two sons, she became Mama to Garth and Bryce as well. Joan’s faith was central to her life. She was compassionate, caring, a great communicator, healer of rifts and a great friend to all. She died in July 2014 at the age of 87. As a Christian who valued education, sponsorship of the Arrow Program is a fitting tribute to her memory.